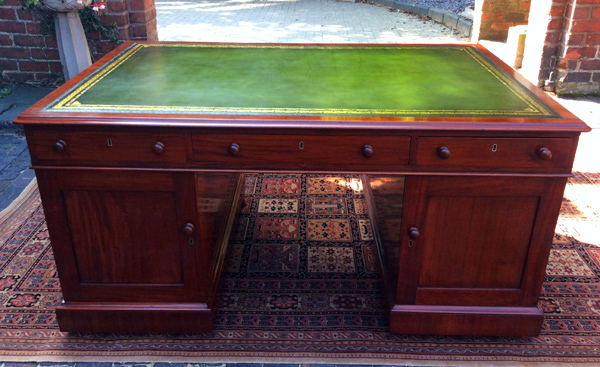 This handsome mid 19th century antique partners desk has well figured mahogany timbers throughout. 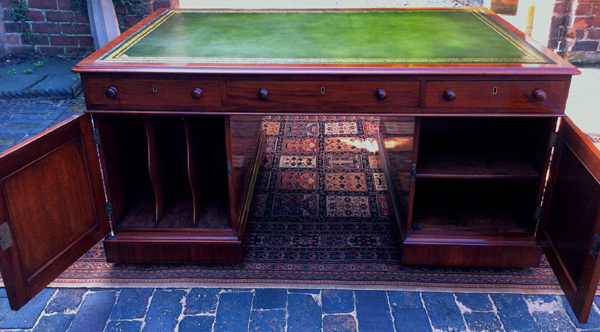 It is stamped marked for the furniture dealer 'James Winter of Wardour Street, London' known to be trading between 1823 and 1870.
surrounded by a band of mahogany and a 'thumb moulded' edge. 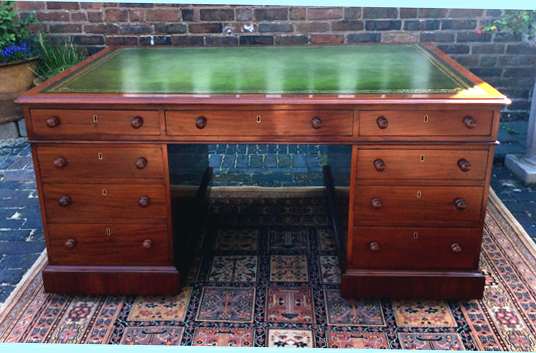 The top is fitted with mahogany lined drawers with hand cut dovetail joints, original locks and turned wooden knobs. As with all good pedestal desks it is made in tree sections, the top and two pedestals, for ease of movement and installation. 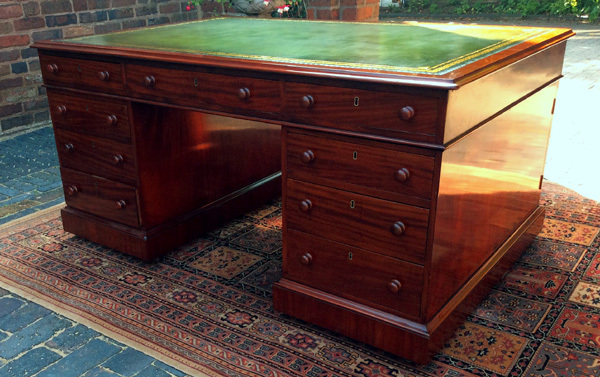 This good quality well proportioned antique partners desk has recently been professionally cleaned and polished and has a very attractive mahogany colour. 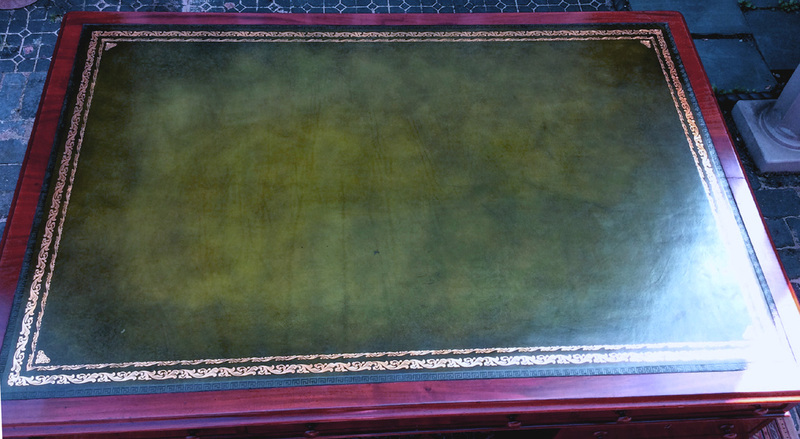 It would look make a good focal point in any traditional or contemporary office or study area.